The Hangover Part 3 is out and I’m pumped to see it. Let’s see what else was up when my friends were in town. 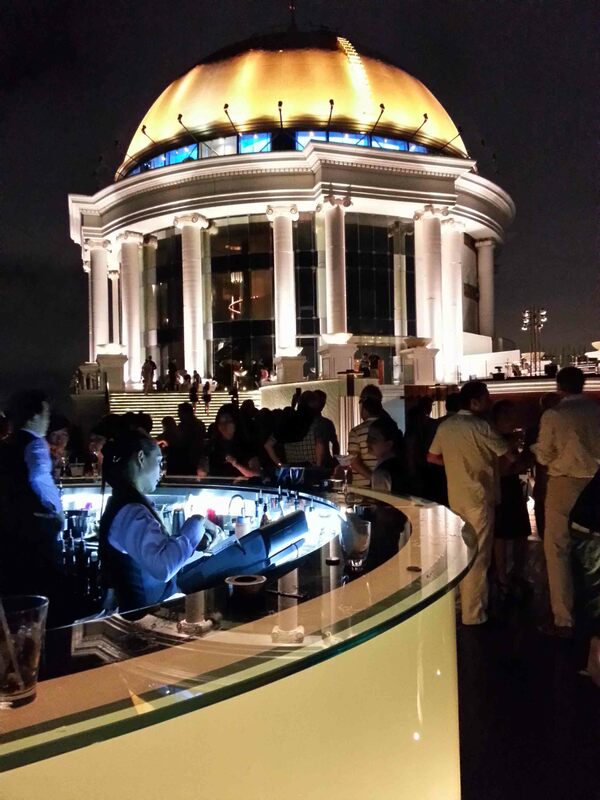 The skybar above is called Sirocco at the Lebua Hotel and famous for being in The Hangover Part 2. 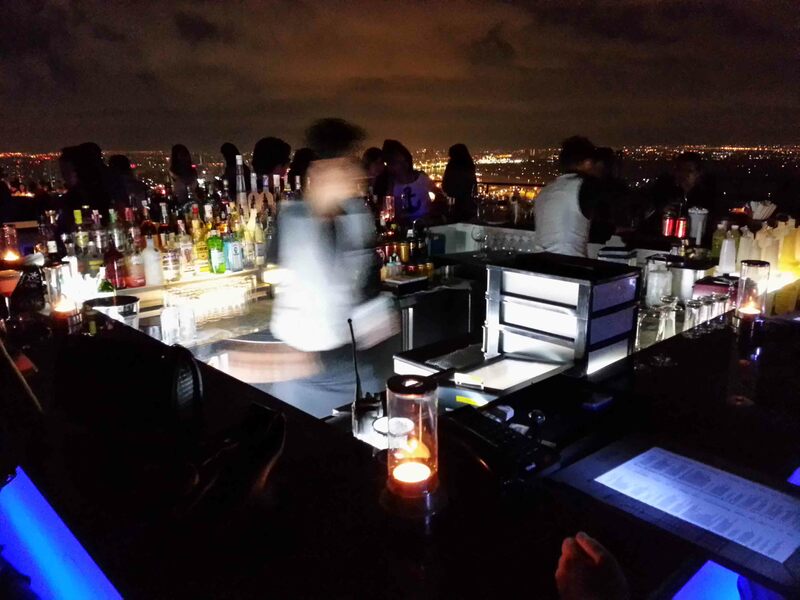 It has one of the best city views in the world. 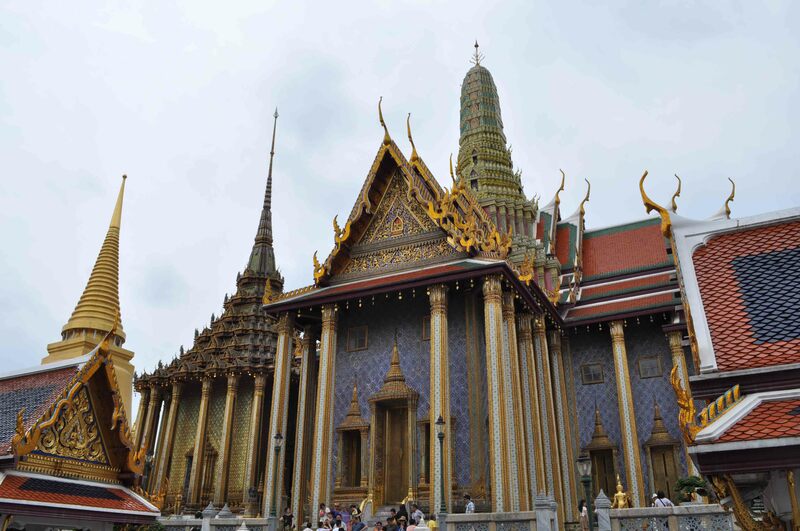 Wat Phra Kaew and the Grand Palace. 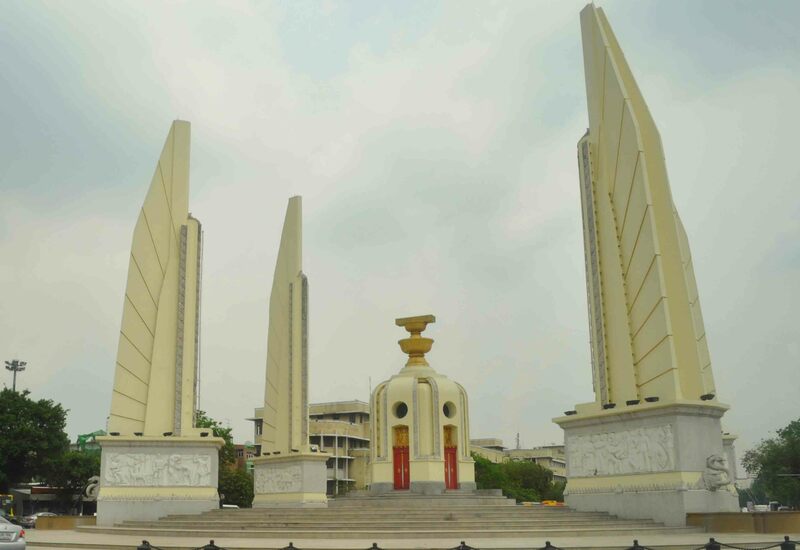 500 baht for tourists, probably one of the pricier attractions in the city but worth at least 1 visit. The cost of the ticket is definitely reflected in the amount of bling around. Gold everywhere, wut wut. 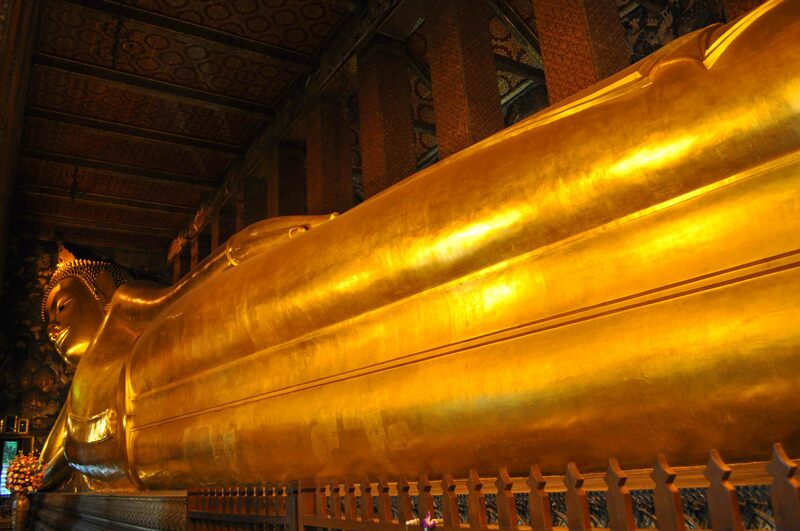 Wat Pho, home of the world’s largest reclining Buddha. Where’s Waldo me. 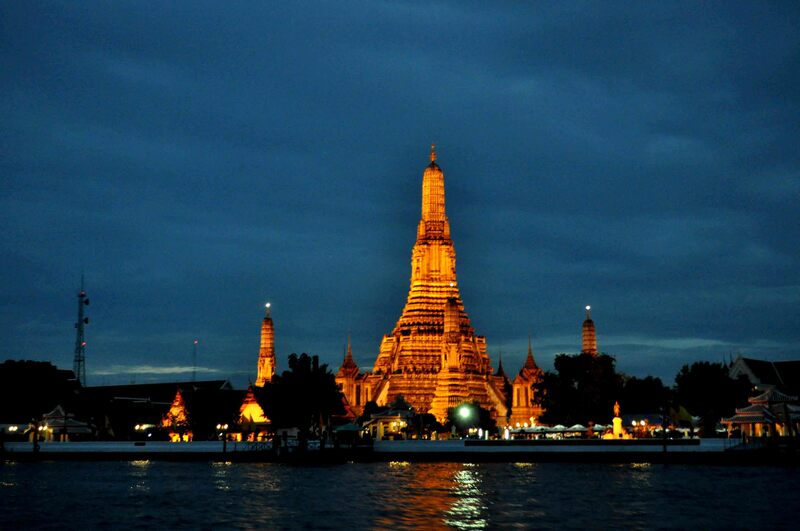 Wat Arun aka. 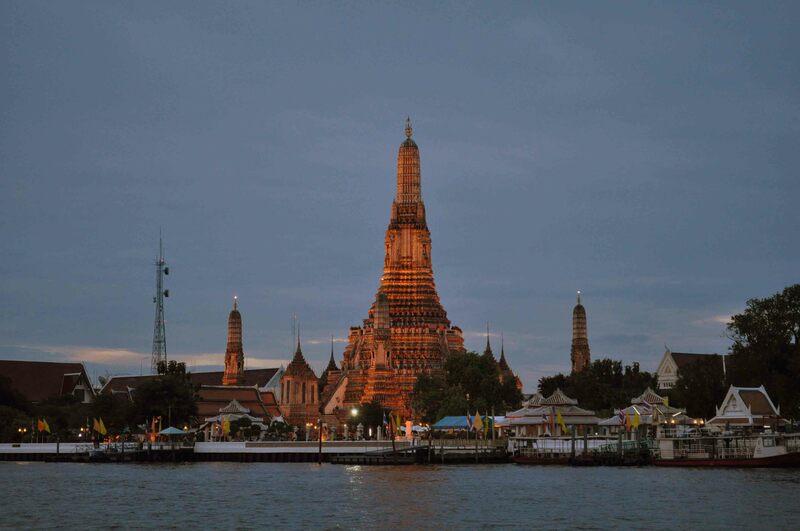 “Temple of Dawn”, one of the best views across the Chao Phraya River especially at evening/night when the temple is illuminated. 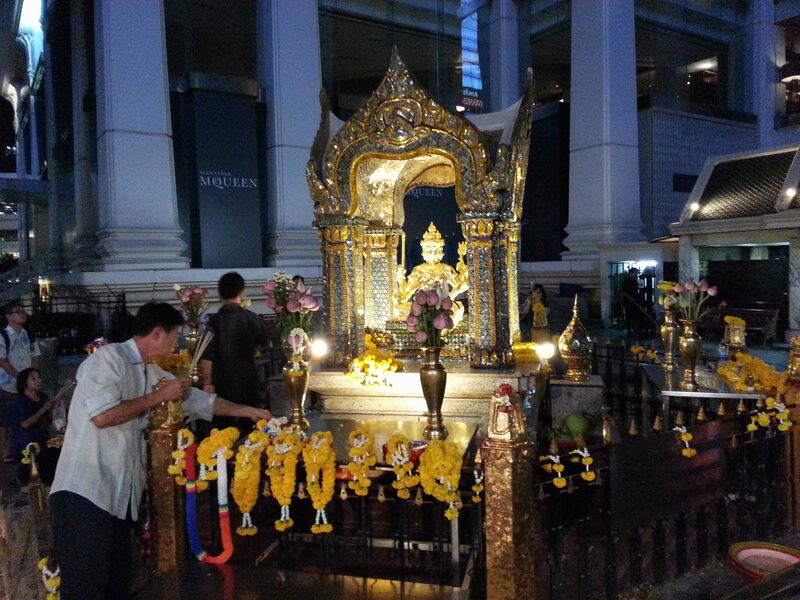 Erawan Shrine, a Hindu shrine in the heart of the city by Central World. 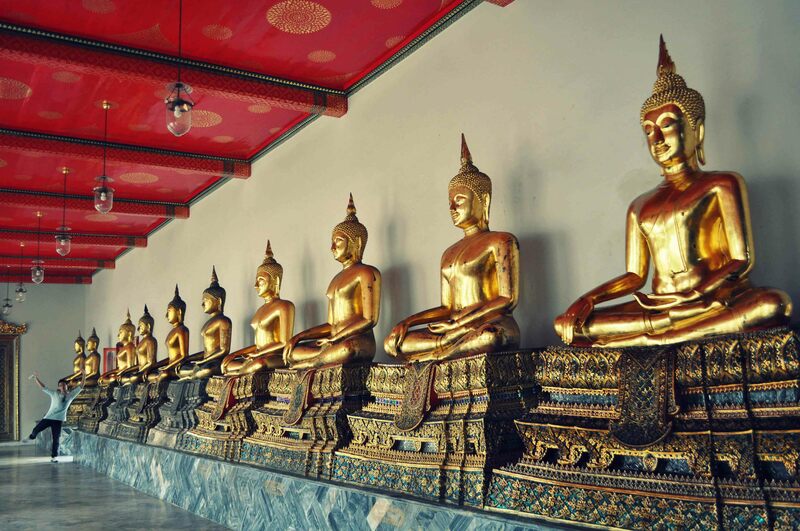 Famous for the 4 faced Buddha statue. 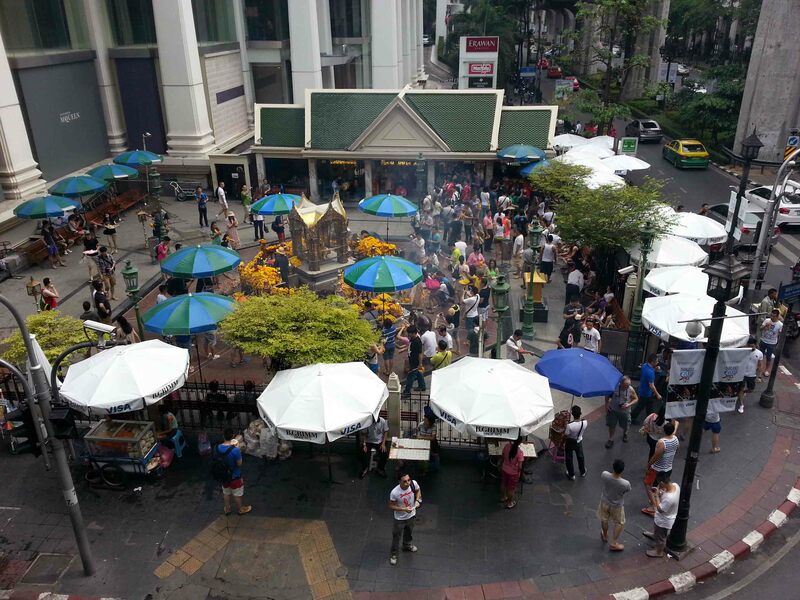 Erawan Shrine daytime. Heavy incense smells stretch all along the skywalk. Vinmanmek Mansion. 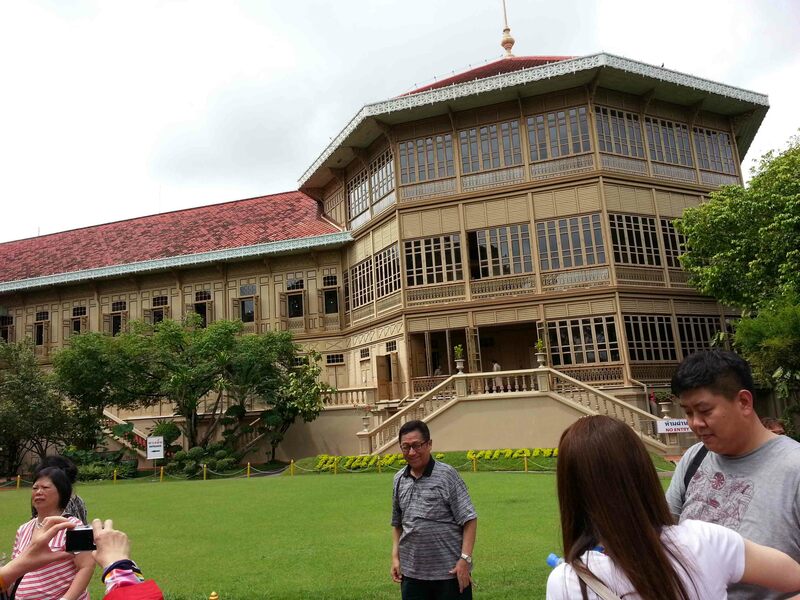 The world’s largest golden teakwood mansion, and formerly the house of the King. 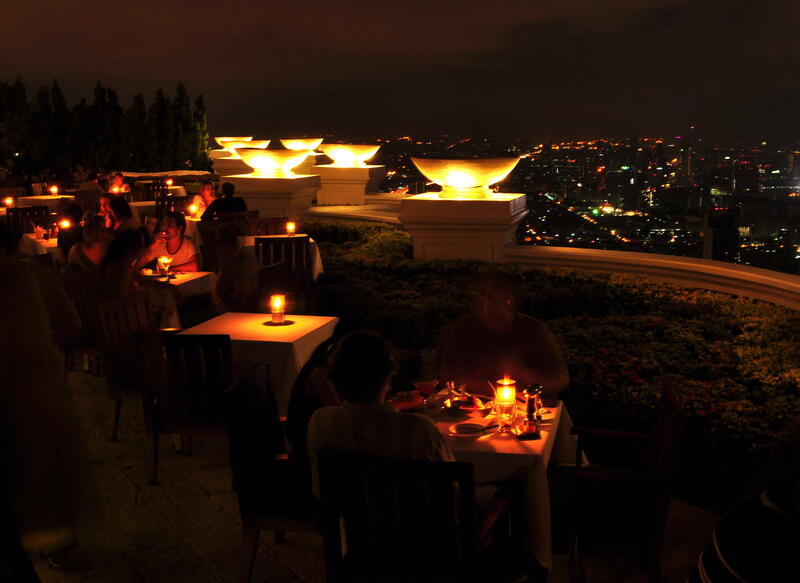 Located in the Dusit Palace area, nearby the Dusit Zoo. Interesting as you learn about the King and the Royal Family and their history. The mansion itself was interesting and nice to see but the surrounding grounds were probably more interesting but are closed indefinitely which was a total bummer. At the end, we left disappointed as the worth of this attraction can be debated. I just remember being absolutely exhausted this day. One of the most scenic and cheapest ways to get around in the city. 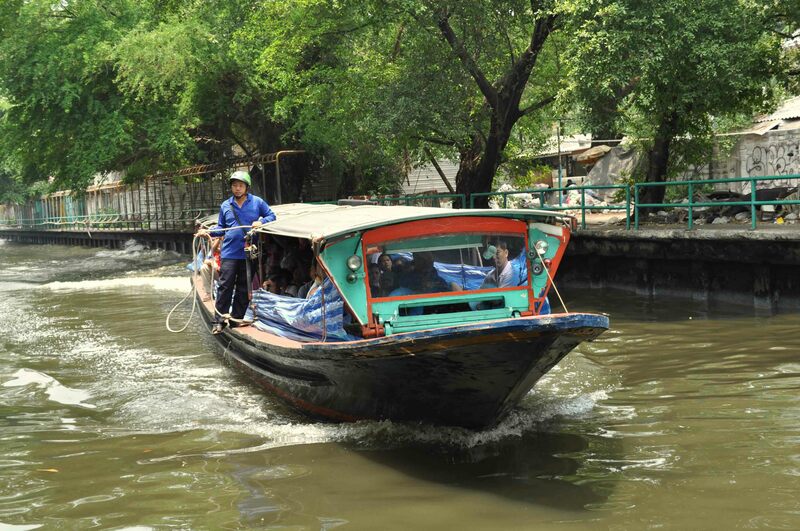 Via the Khlong canal boats, which zigzag all through Bangkok. 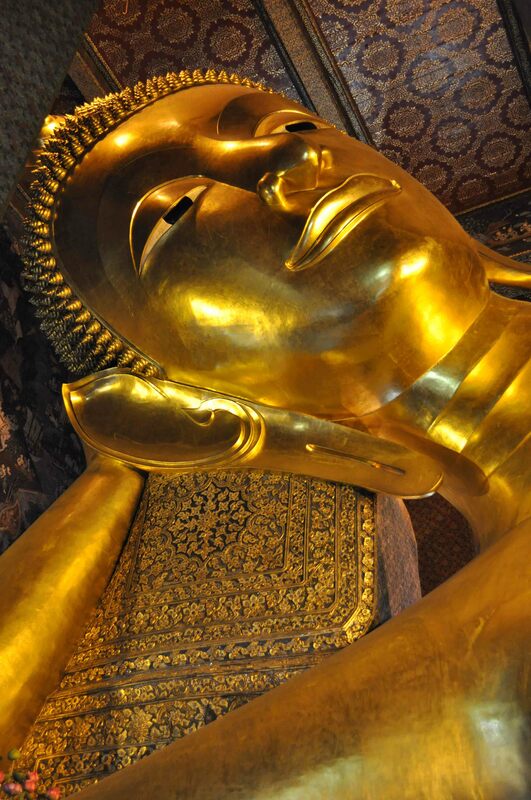 Anywhere from 5-15 baht a trip! A great alternative to BTS or taxi. 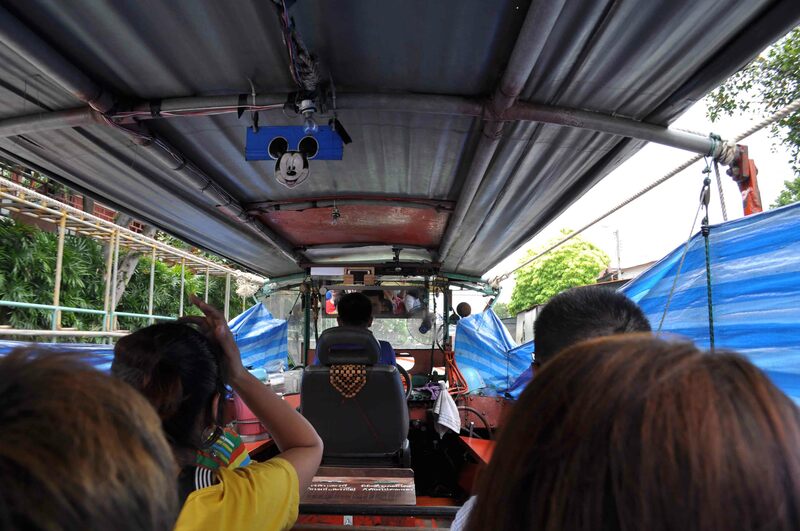 When the boat passes through low overpassing bridges, the driver and assistants on the side pull the roof down as it is too tall to pass under. Kind of cool when you see the roof of your transportation made a foot shorter to pass through a bridge. View of the canals. 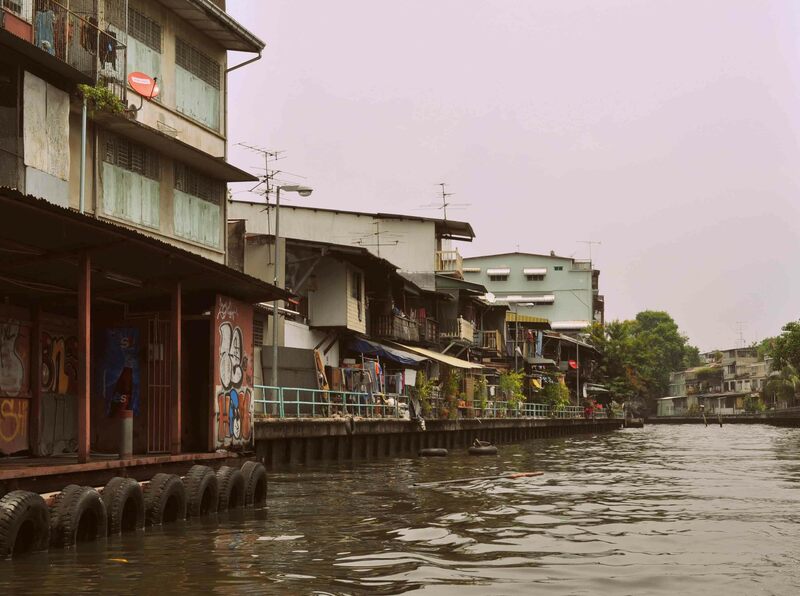 You get a chance to see the real backyards of some traditional Thai families that live along the canal. Uncommon sight due to all the tall and new buildings that mask a lot of the poverty stricken population of the city. 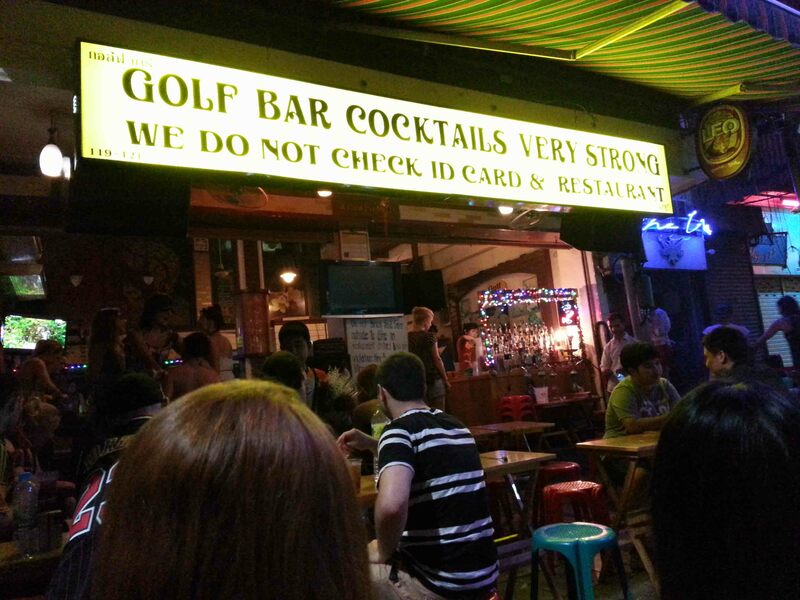 A Khao San Road bar. Just found the name of the bar quite amusing. 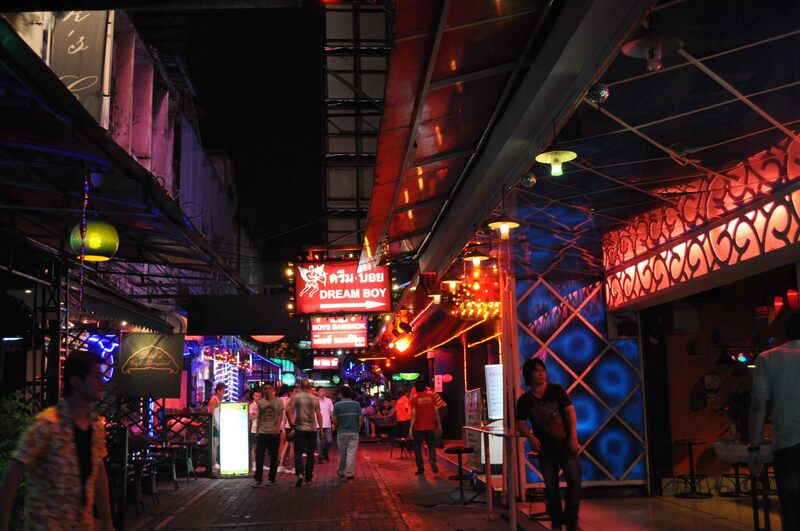 Patpong Soi 4, a substreet full of gay bars. Ya, there’s a whole street. 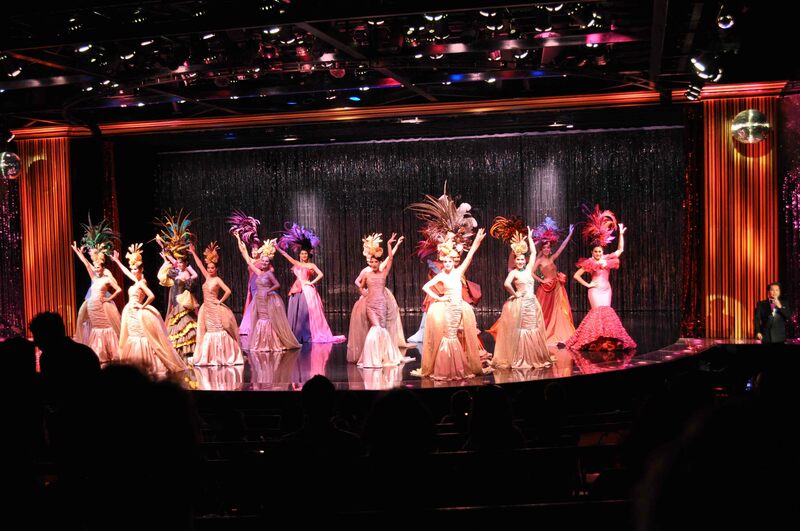 Calypso, a popular ladyboy show at the Asiatique night market. 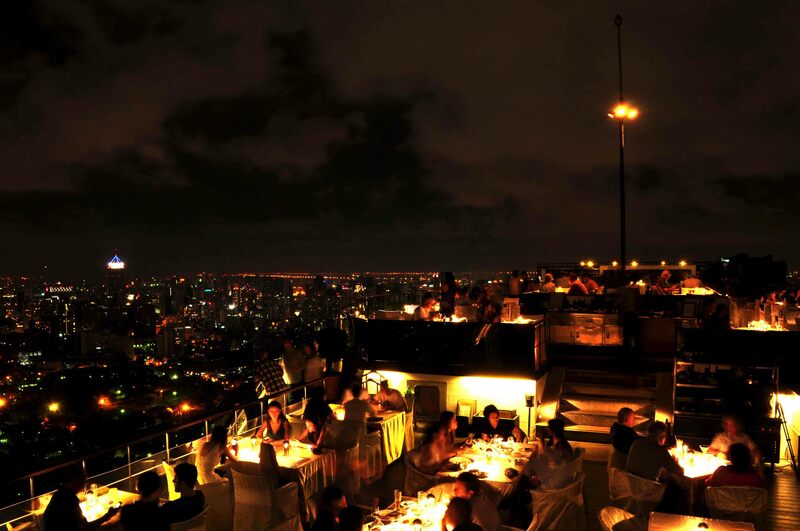 Tip: Purchase your tickets at Khao San Road for a huge discount. You can negotiate and haggle this price and never pay the door price! 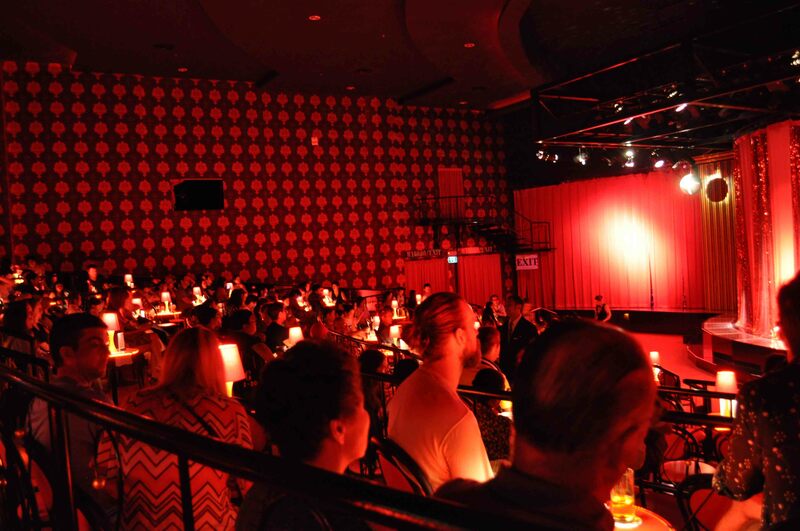 The show was average and catered towards tourists as always. They sang, Chinese, Japanese, Korean and American songs. After the show, you get a chance to take pictures with the performers (with a tip). I was told my smiles were fake… um.. you be the judge?! 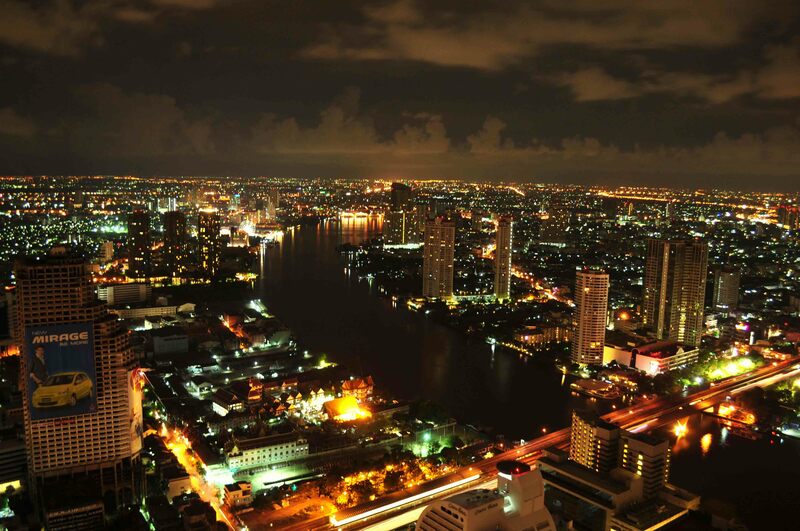 Right next to the Chao Phraya River with a distant view of the Asiatique ferris wheel! Click to magnify! 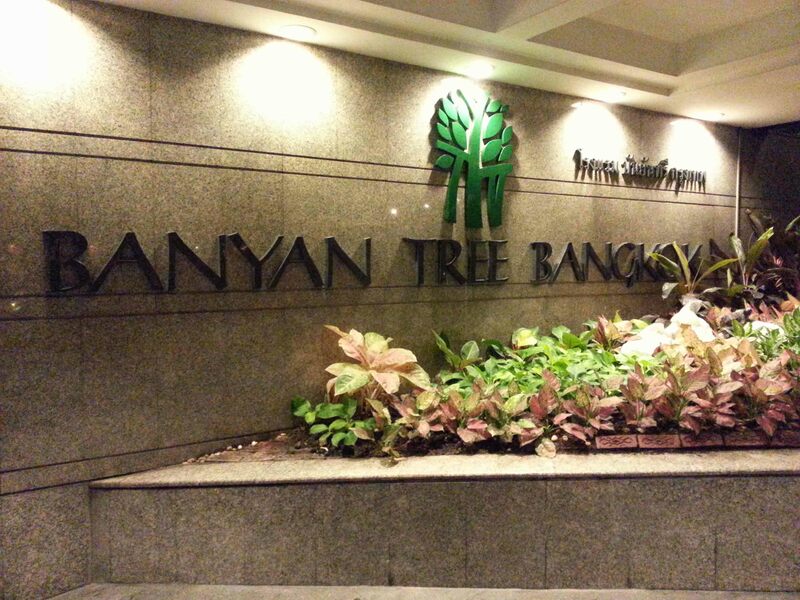 Next up on the skybar list, The Banyan Tree Hotel. 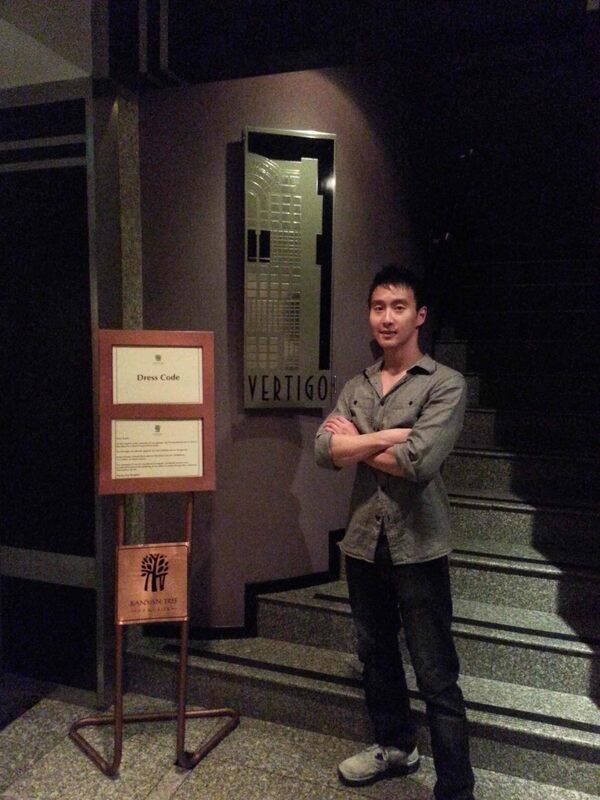 The Vertigo Restaurant and Moon Bar. 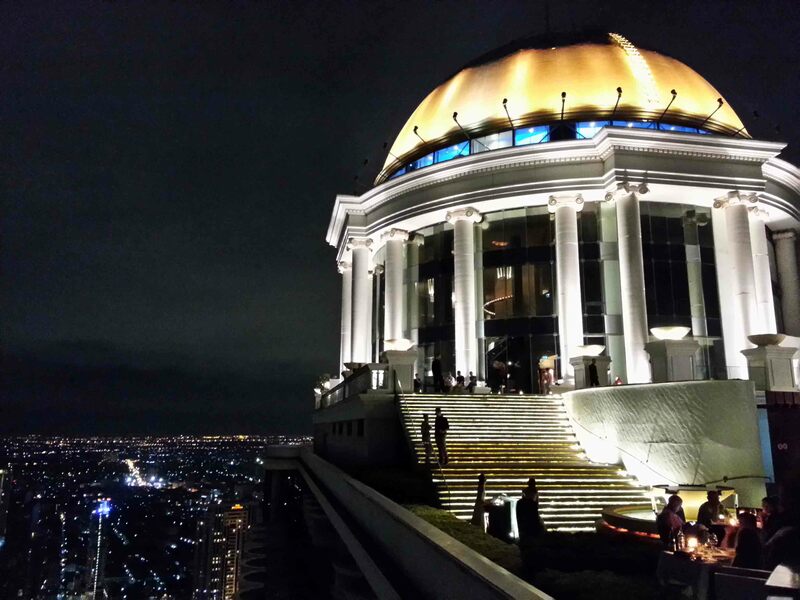 Also rated as one of the top city views, the Banyan tree was very nice albeit a little more crowded and less spaced out compared to the Lebua. I recommend hitting both bars to compare! 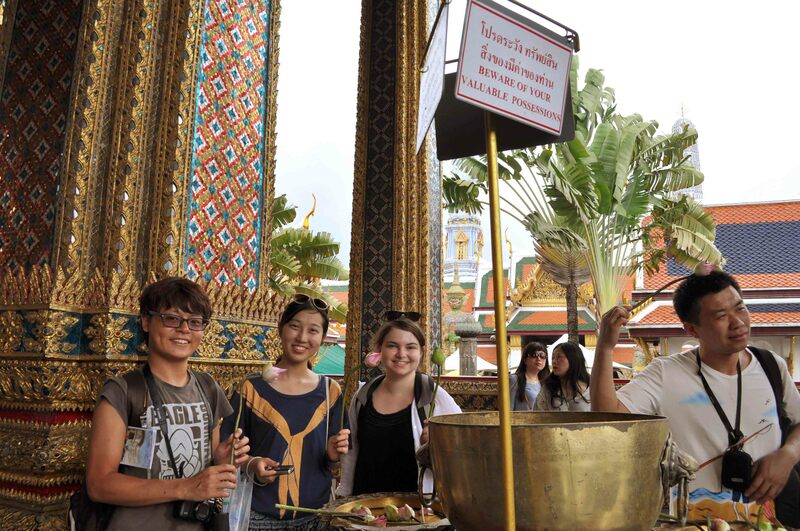 Very sad to see my friends go, but we had an awesome Songkran and a chance to see some sights. They don’t realize how much I am thankful towards them for the smallest of things, but I will try to thank them properly in Taiwan!! 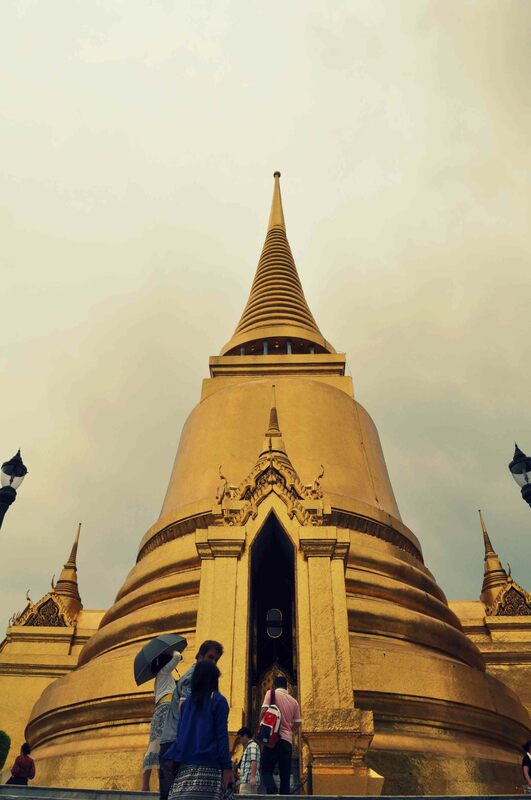 Next up, Cambodia and oh do I have a story to tell. 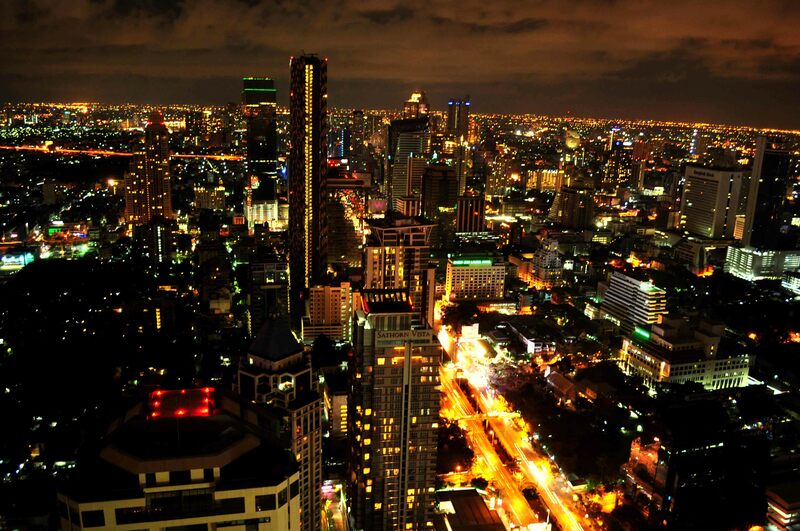 When I clicked on the photo to enlarge, I saw the ferris wheel, but my eyes first went to the Nickkhun car ad. LOL! those smiles were definitely real..u enjoyed getting close with the ladyboys!